The fifth installment to "Bourne" franchise movie and the fourth installment with Matt Damon in the lead role "Jason Bourne" lives up to the tradition that was expected from an action-packed, military mystery, and spy "Bourne" film. "Jason Bourne" still got those chases and explosions, action-packed adrenaline rush, and testosterone overload plot, and most important a solid storyline. You can never go wrong to love this film when you watch this if you are a fan of action movies. But if you are a "Bourne" film franchise fanatic, you'll know in your heart that the latest Matt Damon and Paul Greengrass movie tandem is not even close to the other "Bourne" series franchise. Truly is, the latest "Jason Bourne" movie will never fail to entertain us with all those explosions and twists, thrills, and turns in the story, But the movie is just all about Jason Bourne and finding his identity and the past events that happened in his life. Nothing more. Plus you also get the minimalist acting of Matt Damon, which is quite not favorable unlike in his last movie "The Martian", where he plays a very commendable role. 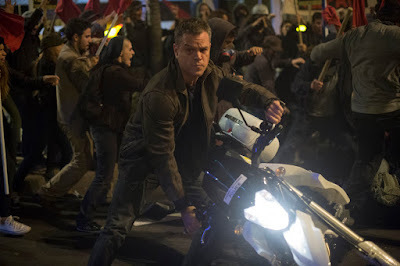 I didn't say Matt Damon's performance in the latest "Bourne" series franchise is a so-so but we wanted for more push. Anyway, as I was saying, the overall feeling of watching "Jason Bourne" is entertaining, you'll know you are really watching an authentic "Bourne" movie franchise. But digging into the depth of the film, the "Jason Bourne" movie is only a chapter of what could have been a real "Bourne" series franchise. You'll know you get a jam-packed action scenes, you'll be jumping with excitement, and you'll like Jason Bourne more, but that's just it. The least inferior of all "Bourne" series franchise to date. 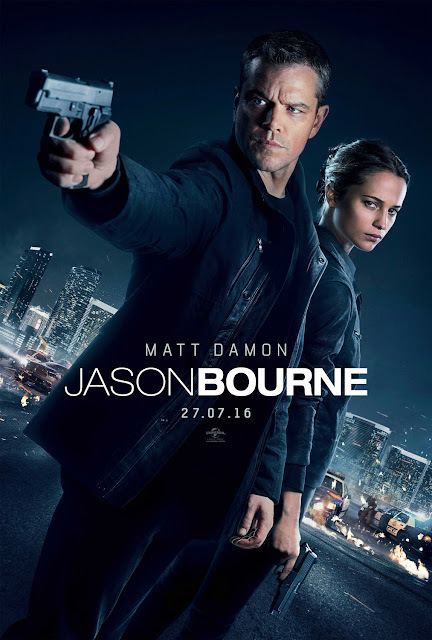 We give "Jason Bourne" an 8 out of 10 stars --- it's not a perfect movie, but it gave a reason to crave for a sequel or a continuing chapter for the "Bourne" series franchise. Watch "Jason Bourne" movie trailer below. Enjoy!